YUAA has done high altitude balloons (HABs) projects in the past but this project offers an innovative application for these near space objects. HABs are large latex balloons that fill with helium or hydrogen as the balloon rises and carry a payload to near space (the current record is nearly 45 km). Solar powered high altitude balloons incorporate solar panels to the balloon design in order to capture solar energy and provide an alternative power source to the electronic systems of the balloon. Considering the need for high altitude balloons that collect atmospheric data for long periods of time, solar powered high altitude balloons use a renewable energy resource to extend the longevity of the balloon flights. High altitude balloons are able to reach beyond the majority of the atmosphere, past the region of clouds and air flow that may interfere with both solar cells and the measuring of atmospheric data. As such, they provide the perfect opportunity to both measure weather data and collect unblocked sunlight, maximizing the accuracy and efficiency of the two processes. The power collected with the solar panels can also help maintain the electrical systems of the high altitude balloon, allowing for longer flights and longer collection of data as losing power in the systems midflight is no longer a concern. This project will work with solar panels electronically with a grid tied system to store electricity generated into an onboard battery as well as provide power to the onboard electronics and include a secondary payload project involving a biological experiment to be carried out in near space conditions. Ideas for this payload include measuring mutation rates of DNA in near space conditions with microgravity and high UV levels, measuring PM2.5 and other pollution levels in the air with a specialized filter throughout the flight, creating a profile of pollution levels at different altitudes, and testing the survivability of different microorganisms in near space. 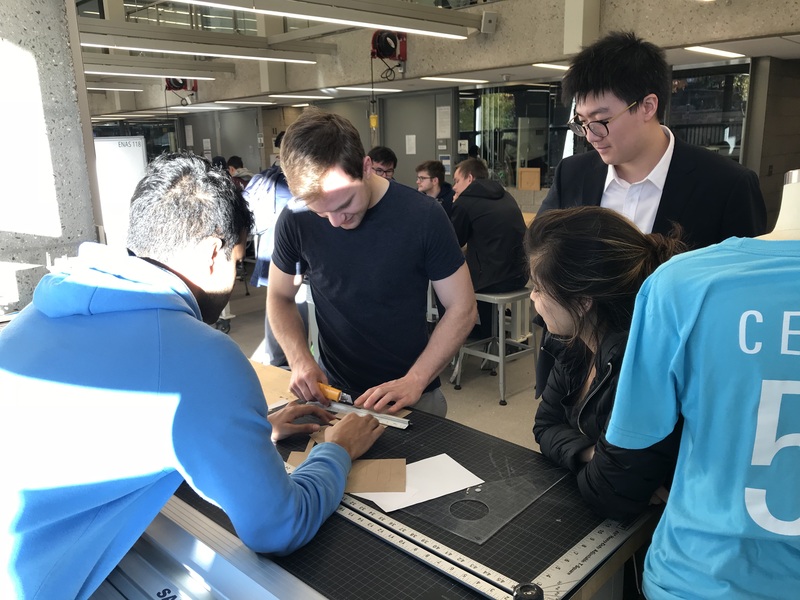 For YUAA, this project can help move the organization more towards a theme of having a positive environmental impact, combining the fields of aerospace engineering with environmental engineering. Project Leader Jonathan Wu is a current sophomore in Ezra Stiles College and is majoring in Biomedical Engineering. Alicia Kacharia (’21) helps lead the group as a Project Second. “It’s really cool to get to near space, beyond the edge of humanity and outer space. There are lots of interesting bio applications of it, and it’s cool to bridge engineering and biological research,” Wu says of the project. 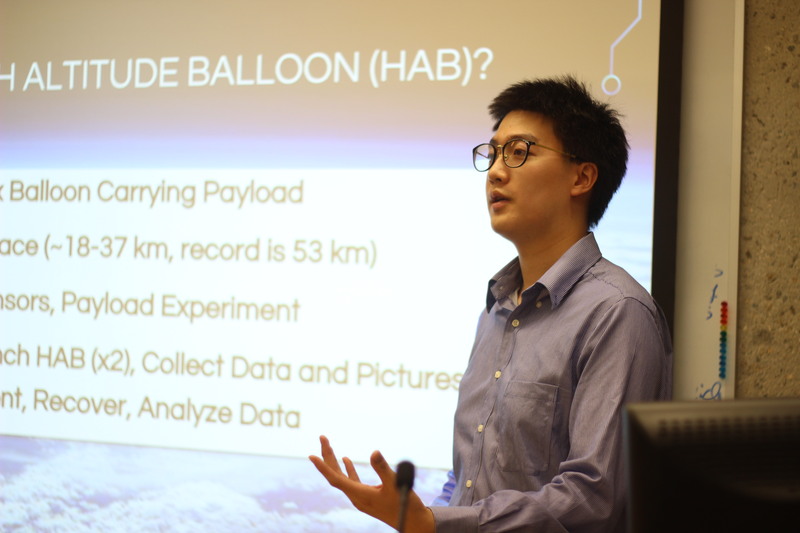 He chose the High Altitude Balloon looking to make an environmental impact through a “green” project, one that has little impact on the environment in terms of construction, energy, and waste, and will also bring back valuable information about the environment. He is most excited to launch the balloon and see the data they collect throughout the flight.